The Tamilnadu plus one syllabus available online for the students those who studying HSC first year in the state board. The Tamilnadu 11th syllabus can be downloaded from the internet for both Tamil medium and English medium as pdf file format. Samacheer Kalvi 11th standard students can get your subject wise syllabus for all groups including Maths, Biology, Commerce, Computer Science and so on. The Tamil Nadu State Government and Directorate of Government Examination Board has planned to conduct public examination also for plus one students. From now the 11th class marks also very important for your future. So you should prepare well for public exam as like as 12th board exam. You need to collect all the Class XI study materials like books, exam syllabus, previous year question papers, notes, one mark questions with answer, blueprint, etc. and start your preparation. 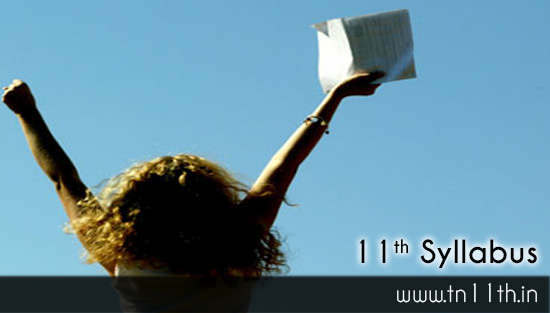 Many plus one students searching for 11th new syllabus for Tamilnadu state board online. The TN DGE will conduct public board examination with current (old) syllabus for this academic year. So students should use the same syllabus what previous year 11th students used. 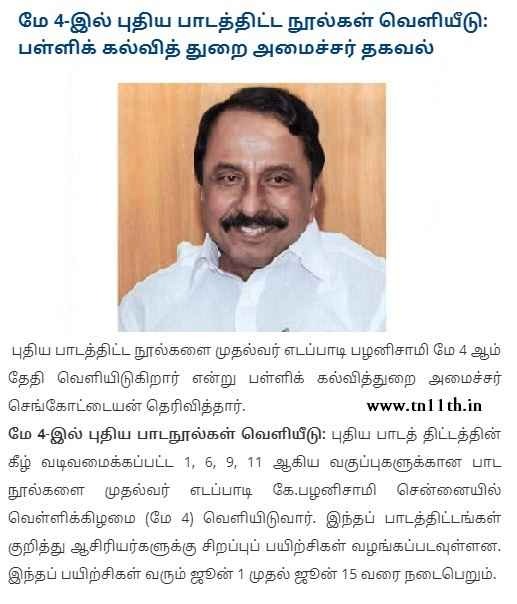 The Tamilnadu 11th New Syllabus will be only published for the next academic year. The Tamil Nadu State Board 11th Quarterly, Half Yearly and Annual Exam Syllabus available for all subjects. School students and teachers can download this latest updated plus one new syllabus in Tamilnadu from this page and save it as pdf file on your mobile or computer system. To download Samacheer Kalvi 11th new syllabus, just select your subjects such as Tamil, English, Maths, Biology-Zoology, Biology-Botany, Economics, Geography, Chemistry, Zoology, Accountancy, Commerce, Botany, Physics, and History. And then select Matriculation English medium or Tamil medium. New trend syllabus for applied maths(GM&BM) its very nice. What about French Model papers for STD XI and STD XII. Please upload it as soon as possible as according to the pattern we have to train our students.